This cyberspace thriller is #starringjohncho, and he delivers. John Cho finds disturbing things in his daughter's laptop in "Searching." We cap off what some Hollywood-watching wags have dubbed “Asian August” with a gripping thriller called Searching. 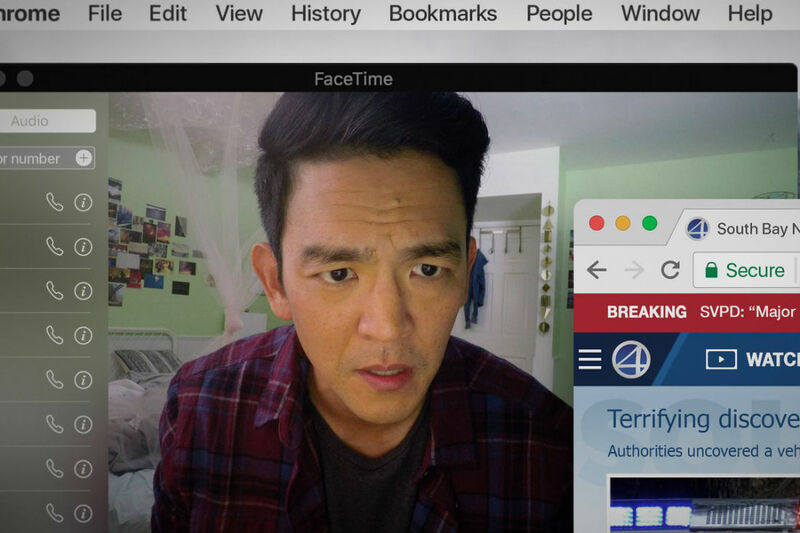 For all the merited hoopla over Crazy Rich Asians, we Asian-Americans need a film like Searching just as badly, a genre piece where John Cho is not a symbol of our ethnic experience but just a guy in a tough spot. 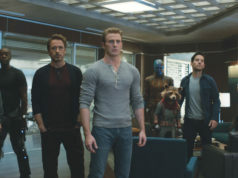 It’s well that this film, among the small but increasing subgenre of movies that take place entirely on computer screens, is the best of those. Cho plays David Kim, a Silicon Valley drone who’s been raising his 16-year-old daughter Margot (Michelle La) by himself in the two years since his wife’s death. Margot seems a model student until she goes to a study group at a classmate’s house and never returns home, nor does she attend school the next day. As the hours go by and grind down his concerns that he’s being paranoid, David starts investigating her life and finds out that she has shut out her friends at school in favor of a shady acquaintance on a webcasting platform. Her bank account shows some funny transactions, too, related to the $100 she’s been taking every week for piano lessons, which she turns out to have canceled months ago. Eventually, a remarkably dedicated police detective (Debra Messing) launches a manhunt in the San Jose area. If this plot is full of wild coincidences upon reflection, nothing in the moment feels terribly implausible (which can’t be said for the Unfriended sequel from earlier this summer), including the queasy bit when a funeral home emails David shortly after Margot’s disappearance and offers to livestream her memorial service. Though David is a tech worker, he doesn’t have any special skills or software that we don’t have, just a creativity borne of desperation. He gathers up her passwords and rummages through the photos on her Facebook, Instagram, and Tumblr feeds after cluelessly asking, “What’s a tumbler?” Even Reddit turns up a clue amid the repulsive threads accusing David of killing his daughter and Margot of pulling a Gone Girl, plus an Alex Jones lookalike blaming her fate on those pedophiles overrunning America. First-time director Aneesh Chaganty is the son of Silicon Valley professionals, and he knows how to use these new means of communication to generate tension as David finds that Margot’s online life is wholly different from the one she lived in his house. Chaganty’s also savvy enough to use the storytelling gimmick for mordant humor: We see the screen as David composes a text message of several hundred words ranting at Margot for failing to do her chores, then the cursor stops at the end to change the final exclamation point into a period, as if that’ll keep it from seeming over the top. This movie works best as a showcase for Cho. If you’re used to seeing him work via understatement (as he did beautifully in last year’s radiant and poorly distributed Columbus), watch him here as his face twists with disbelief and rage as David’s suspicions alight on his hockey-playing brother (Joseph Lee). Then listen to him howl with grief as he receives information pointing to the worst possible outcome. It’s funny to think that the Twitter meme from a few years ago #starringjohncho might have led to his role in a movie about social media, but his performance here shows you what the meme was on to. He hasn’t gotten the roles or the recognition he deserves because of Hollywood’s squeamishness about casting an Asian-American leading actor. That should change, and Searching is good enough to do it. Starring John Cho and Debra Messing. Directed by Aneesh Chaganty. Written by Aneesh Chaganty and Sev Ohanian. Rated PG-13.